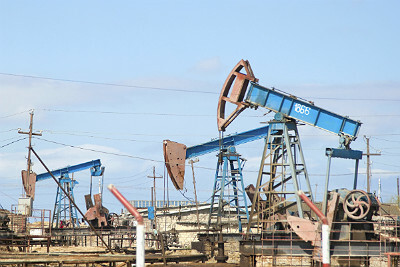 Oil exploration in Baku, Azerbaijan. Azerbaijan is a piece of the post-Soviet jigsaw roughly the size of Minnesota, home to a population of 9 million that gained independence in 1991. Few feel confident pointing out the country on a map (it's located on the northwest corner of Iran, right on the Caspian Sea). But just before 2013 closed out, Azerbaijan's policymakers finalized a $45 billion deal that will make them a key link in the European Union's and United States' play to secure Europe's energy independence, and to reduce Russian influence. This is a small country playing a big game. Particularly in the wake of events like the Russia-Ukraine gas standoff in 2009, which nearly turned the taps off across much of the continent, Europe's hopes on reducing Russia's role in gas supplies have been pinned on the construction of a pipeline route to take Caspian gas through Turkey and into Europe. The EU's pet project Nabucco was dismissed last summer, and in the final decision the Tanap and TAP pipelines came out on top. Tanap (the Trans-Anatolian Pipeline) will take gas from the second stage of Azerbaijan's Shah Deniz natural gas project across the Georgian and Turkish borders, where it will be picked up by TAP (the Trans-Adriatic pipeline) to take the gas further into Central and Southern Europe. The volumes of gas at stake are not headline news; initial capacity will be only 10 billion cubic meters (bcm). Russian politicians have even privately joked that Azeri gas would be "only enough for a barbecue." But that would be missing the point. Even though not directly involved in negotiations, the towering figure of Russian Gazprom was never far from the minds of those pushing for the construction of the "Southern Corridor" route. The Russians currently supply almost a third of Europe's gas, largely on the basis of oil-indexed contracts, benefitting from minimal competition. However, the new route opens up the possibility not only of exporting the Caspian Sea's limited resources, but gas produced in a future unsanctioned Iran or the emerging offshore eastern Mediterranean, for example. A key driver of the widening gap in gas prices between Russia and the rest is the U.S. unconventionals boom, so the U.S. is clearly part of the story. But what does this latest development mean for Americans, particularly in the light of booming shale and promised energy independence? Neither Russian nor Azerbaijani gas is destined for American customers. But again, gas volumes are not what is at stake here. Tellingly, former Special Envoy for Eurasian Energy Issues Richard Morningstar was sent into the heart of the debate as U.S. ambassador to Azerbaijan a few years ago. At a 2012 conference in Athens — another key node in the Southern Corridor story — he outlined policy in the region, asking, "Why does the U.S. care about European energy security? You are 4,000 miles away." But the U.S. and Europe remain mutually dependent for trade and investment, and the U.S. has clear economic interests in a strong Europe. Upstream, U.S. post-Soviet allies such as Azerbaijan and Georgia will benefit from export revenues and transit fees. Downstream, pressure is eased on those countries in Central and Eastern Europe that suffer disproportionally from dependence on Russia. Poland, the Czech Republic and Slovakia import 90 to 100 percent of their gas from Russia. However, December's decision was only a partial success for the U.S. and Europe. As negotiations have gone on, the percentage of Europe's gas bought on the spot market rose from 15 percent in 2008 to 44 percent in 2012, and have risen since. Simultaneously, the EU's antitrust commission has continued its investigations into Gazprom's uncompetitive business model. But the failure of the Nabucco West project, which would have carried gas into the heart of Europe via Baumgarten in Austria, means the TAP/Tanap option — which runs further south — is seen by some as a runner-up prize. The finalization of the pipeline's route and financing details may not shift the balance of global politics yet, but by placing itself right in the middle of the evolving U.S.-EU-Russia debate, Azerbaijan is taking quiet, but confident, strides onto the world stage.